There’s no denying there are a lot of unique properties available for sale. Recently I wrote about Hacienda de la Paz, the “one story”, 51,000 square foot home located in Rolling Hills, California. 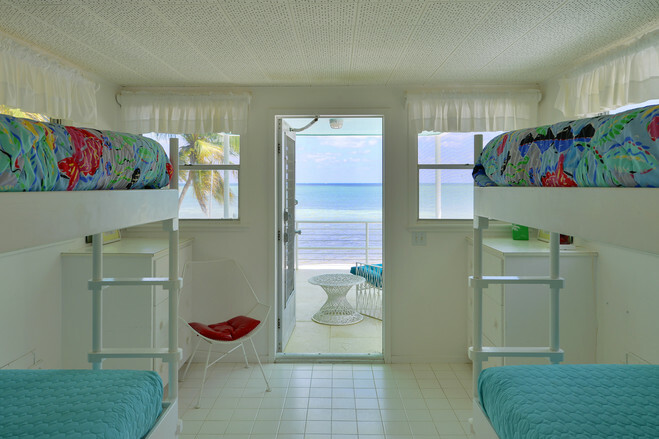 Equally unique is the Gilmore Estate, located in Islamorada, Florida. Dwarfed in size by Hacienda de la Paz, the Gilmore Estate is only 959 square feet. Did I mention the Gilmore Estate is a houseboat? A houseboat that’s been ashore since Hurricane Donna relocated the houseboat back in 1960. 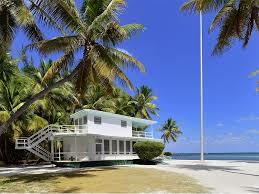 The houseboat was originally built in 1948 for hotel magnate, Conrad Hilton. After enjoying the boat for all of a year or so, Mr. Hilton sold the vessel to newlyweds, Jim and Donna Gilmore. The Gilmores had the boat docked when Hurricane Donna struck. The boat broke loose from the dock and ended up being beached on US Highway 1. After locating the missing boat, the Gilmores used telephone poles to roll the boat to its current location, a spectacular 5 acre, white sand covered lot that according to Cheri Tindall of Sotheby’s International Realty, “is one of the few large parcels left on the ocean”. Through the years there have been some upgrades done to the houseboat but the owners left the houseboat style intact. The first deck has a sitting room with wall-to-wall windows to take advantage of the breath-taking ocean view. On that same level is the galley-style kitchen, a stateroom (bedroom for those of us on land) and two bathrooms. There is a master stateroom on the top deck which is accessible only from an outside staircase. This master stateroom is not the typical master bedroom found on land. In this master there are four bunk beds. There is also a patio to again enjoy the spectacular view. Because the property is 5 acres, if you ever got tired of playing Gilligan’s Island all day, every day, there is plenty of space to build your dream home. Ms. Tindall points out that the houseboat can be used as a guesthouse. Currently listed for sale at $5,950,000, it seems like a steal given the lot size and location. If maybe this isn’t the home you had in mind, visit my website to view the current inventory available for sale. I’d be happy to write on offer for you on the Gilmore Estate or any other house of your dreams! Photos courtesy of Sotheby’s International and WSJ.com.